Matthew Prescott, born and raised in Idaho, graduated high school from Interlochen Arts Academy and attended the inaugural year of the Joffrey/New School University in New York City. In 2000, he was invited to join the Joffrey Ballet. Mr. Prescott has also worked with Donald Byrd's Spectrum Dance Theater, Alonzo King's LINES Ballet, Ballet NY, Complexions Contemporary Ballet, Amanda Miller, The Suzanne Farrell Ballet, The Alabama Ballet, Armitage Gone! Dance, Ballet X, and is featured in Robert Altman's film The Company. 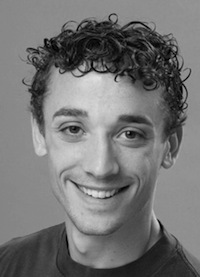 Matthew has choreographed works performed by Complexions Contemporary Ballet and Chamber Dance Project.